General Kolb, airplane and ultralight questions. How complete is your kit, what else do I need to fly? What instruments do you consider to be essential? Can I trailer my Kolb on its own wheels behind my car? What are the building times of your aircraft? I really want the performance that a 40 hp engine gives, but I want to have a legal ultralight, too. What can I do? What will be the resale value of my Kolb if I decide to sell it in the future? What do I get when I order the Factory Quick-Build option? It does not look like there is any twist in your wings, are you sure that is okay? I have an airstrip 600 feet long, is this long enough to operate from? Can I do aerobatics in my Kolb? After I build my Kolb, where can I get instruction on how to fly it? I am planning a trip near your factory, may I stop in and see your airplanes and see your facilities? What is the fuel consumption for the Kolb airplanes? Rotax Engines Frequently Asked Questions. What types of starters come with the Rotax? What gear boxes are included? What carburetor comes with the Rotax? The kit includes most everything you need to fly except covering, paint, and instruments. Everyone has different ideas about how an airplane should be painted and what type of paint to use. Aircraft Technical Support, Inc. has been furnishing Kolb fabric kits for several years, and stocks everything the builder might need to complete the covering process. In addition, Jim & Dondi Miller are happy to answer any questions pertaining to covering.  Visit their website at: www.aircrafttechsupport.com. These folks are some of the best customer service oriented people you could ever want to deal with, and are highly recommended by Kolb Aircraft Co.
You'll need some instruments, but everyone has a different idea about how they want their panel arranged - so this is an area we leave up to the builder. Some use only the basics, some strive for IFR capabilities! We consider the Air speed indicator, Tachometer, Exhaust Gas Temperature, (and water temperature for the 582 and 912),as essential instruments. Beyond that, an altimeter and hour meter are very helpful. If you are registering your airplane as an experimental, then you'll need a compass too. Kolb strongly recommends the Grand Rapids Engine Information System. It gives digital accuracy for the very important engine data. Plus it flashes a red warning light when maximum temperature values are exceeded. No. We recommend that all transporting be done on a trailer. Bumps and potholes when hit at almost any speed can inflict much stress if the airplane is the trailer. A trailer typically has much larger diameter wheels, a good set of springs and a lot more mass to absorb the bumps etc. Timer Wolf, Inc.1-800-837-9653 and Wells Cargo, Inc. 1-800-348-7553 make enclosed trailers large enough for our aircraft. Both make trailers that have much higher weight carrying capacities than needed and, therefore, they are much heavier than necessary. But they are available, and reasonable in price, and you'll need a full size car or truck to pull these. Presently, we don't know of anyone making light weight enclosed trailers catering to the needs of ultralighters. This is one of the more difficult questions to answer. Roughly estimated: a FireFly takes 375 hours, a FireStar 450 hours, a Slingshot 500, and a Mark III 550 hours. These are average times which allow for some options. A lot depends upon engine selected. A Mark III or Slingshot with a Rotax 912 will take significantly more time than a 2 stroke. Unfortunately building times seem to be one of the more exaggerated figures seen in manufacturer's literature. The figures quoted above are not pie in the sky figures. These are reasonably realistic. When we build a complete aircraft for ourselves, our building time is less than the times listed above, so we don't quote the most optimistic figures that we could quote. The FireFly is a legal ultralight with a 40 hp engine. Resale value is a highly variable thing. Much depends upon the appearance of your airplane, if it has a lot of rough edges it will be more difficult to sell. If it is readily apparent that it was given a lot of tender loving care, it probably will not last past the interested buyer. It also depends upon how anxious you are to sell. If you have time to advertise in the national light plane magazines, you can generally do better than if you just advertised locally. We know of people who have traveled half way across the country to buy a good used FireStar. 2 wings, are built. Spars, ribs, leading and trailing edges, and drag struts are in place. Wing is not covered. 2 ailerons, are built but not covered. 2 vertical stabilizers (upper and lower) built, but well you know the drill! Wing alignment (wings are attached & aligned with fuselage) but removed for shipping. Lift Struts (are assembled to correct length). Tail alignment (tail surfaces are aligned and attached to fuselage tube) but removed for shipping. Tail wire bracing (made to length with ends swedged). Tail hinges (all hinges for horizontal stabilizers, elevators, and rudder aligned and temporarily installed). Fuselage "H" section installed (structure member where tailboom is attached, many, many rivets and alignment). You are correct. Our wings are completely flat on the bottom. Twist is used to ensure that the root of the wing will stall before the wing tip. If the wing tip were to stall first, the airplane would be very dangerous to fly. Our wings are low aspect ratio which means they do not have a very long span for their cord; low aspect ratio wings have very good stall characteristics, the root will stall before the wing tips do. 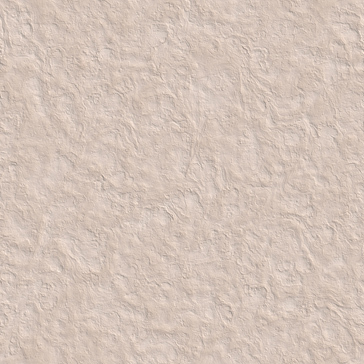 In addition, the rectangular plan form that we use is less prone to tip stalling than a tapered wing. So, for our design wings, twist is totally unnecessary, plus it makes building the wings much easier. It depends what the approaches are like. If it is completely clear at both ends, then it may be long enough for the FireStar, FireFly and solo in the Mark III/Slingshot under most circumstances. It may be marginal, depending upon field elevation, density altitude, and prevailing wind conditions for 2 place operation. For landing, a big variable is the effectiveness of your brakes. The key word is operation, which implies a continued and ongoing usage under a wide variety of atmospheric conditions. Also such a short strip would be for an experienced pilot only! Don't try to utilize such a short field until your are very familiar with your airplane. It is doubtful that you could find another ultralight or lightplane that will compare with the FireStar's or Mark III's short take-off and landing distances. We cannot think of another enclosed production ultralight that can take-off more quickly, or land in a shorter distance that the FireStar or Mark III. Even the casual observer at the airshow notice, the climb rates of the Kolb airplanes. We do not recommend doing aerobatics in our airplanes. Aerobatics can be dangerous; every year we read of even professionals dying while performing aerobatics (even in airplanes designed for aerobatics!). Statistically the odds are greatly against you when performing aerobatic maneuvers compared with normal flying. Even aside from any structural problems, botched maneuvers can easily kill. If you really want to do aerobatics, we would recommend you purchase an airplane designed specifically for that purpose. While some have performed aerobatics in our designs, we still do not recommend it. Two people may do a loop and one may put twice the stress on the airplane than the other. So, just because you see someone doing it, does not necessarily mean you can do it as safely. The United Sates Ultralight Association can supply you with a list of USUA flight instructors around the country, but our country is big and the number of instructors relatively small, and it may not be feasible to travel the distance to even your nearest USUA instructor. The Experimental Aircraft Association also has their approved instructors (Certified Flight Instructors) that give training in ultralights. The A.S.C. more recently is another avenue to explore for flight training. If no USUA, E.A.A., or A.S.C. instructor is convenient or available, many of our customers have gone to their local airport and taken instruction in a Cessna 150 to the point of soloing. Then it is usually possible to find someone with a similar airplane and they may agree to give you an orientation flight in their airplane. In general, pilots have little trouble making the transition from airplanes to our ultralight type designs. Yes, you are welcome. Business hours are 9 AM to 4 PM, Monday through Friday. Weekend and evening visits may be arranged by appointment. The answer varies quite a bit depending upon how you fly. Many of our pilots fly at reduced power settings simply because it is quieter; typically when cruising at 5500 RPM the 503 dual carb will use about 3 to 3-1/2 gal per hour. The 582 will use about 4 gal per hour at 5500 RPM. If you get up to about 6000 , then consumption goes up rapidly, the 503 will use about 4 gal per hour and the 582 approaching 5 gal per hour. If you spend much time above 6000, you will really start guzzling the gas. The 40 hp engine uses around 2-3/4 gallons per hour. These figures are based upon a propeller that will turn about 6500 RPM static. If you, for instance, are set up to turn 6000 RPM static, then your figure will be a little higher than listed above. The important thing to note is that our airplanes are all clean and efficient and will fly very well at greatly reduced power settings. This allows for the possibility of slow flying at greatly reduced fuel consumption. 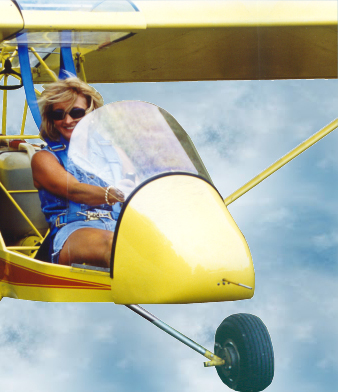 Ultralights are not typically used for transportation from point A to point B, where the only consideration is flying as fast as possible to minimize flying time. More typically, ultralights are flown around the patch and cruise around with no particular destination in mind. At least this is how we fly most of the time, and we really enjoy flying at the minimum RPM necessary to stay in the air, and flying in such a manner is very easy on the fuel, being somewhat less than the figures listed above. What types of starter comes with the Rotax? 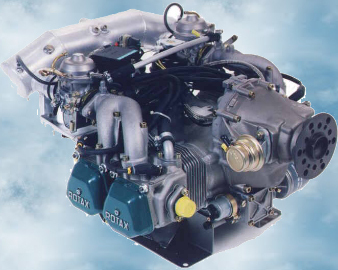 Rotax engines have Standard Recoil Wind Starters. Electric starters are optional, except on 912 Rotax Engine. All starters are identical except for the thickness (height) of the spacer; measure spacer behind fly wall; height (thickness) including flanges. What gear boxes are included with the Rotax? Gear boxes are optional on all engines except 912, which is a combination gear box and starter. There is no designated letter for that gear box. "B" gear box can be used on 40 hp, 503, 582 engines. "C" gear box can be used on 40 hp, 503, 582 engines. "C" gear box contains a bushing to help remove vibration on Prop. "E" gear box is a "C" gear box with an electric starter. Gear boxes are normally specified and ordered with the initial engine order. What about engine oil for the Rotax? All Rotax engines are oil injected unless ordered otherwise. The option for oil injection is available for the 503 engine, must specify if not. Oil injection Reservoir Tank: For 582 engine with mounting hardware, 881 465. Above tank without bracket, 881 460. For 503 engine, above tank, plus customer must make an additional bracket (instructions included in drawings). What about cooling the Rotax? Typical radiators are single. There is an option for a dual radiator, but only for 582 and 912 engines. The optional dual radiator number is 881 437, spark plugs mounted up. The single radiator for the 912 is number 995 697, vertical without radiator cap. The single radiator for the 582 is number 995 695, horizontal style with radiator cap. 40 hp and 503 engines are air cooled, no water is necessary. They do not require a radiator. 825 711 Single air filter for 912 engine.